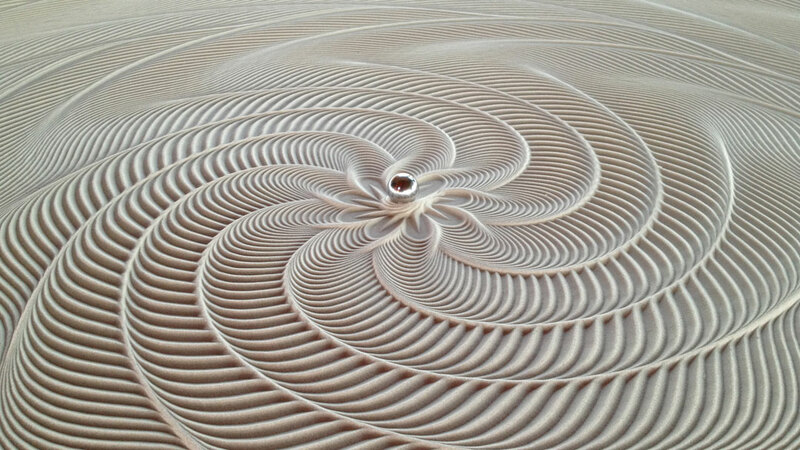 Sisyphus is both a kinetic sculpture, and an “instrument”. 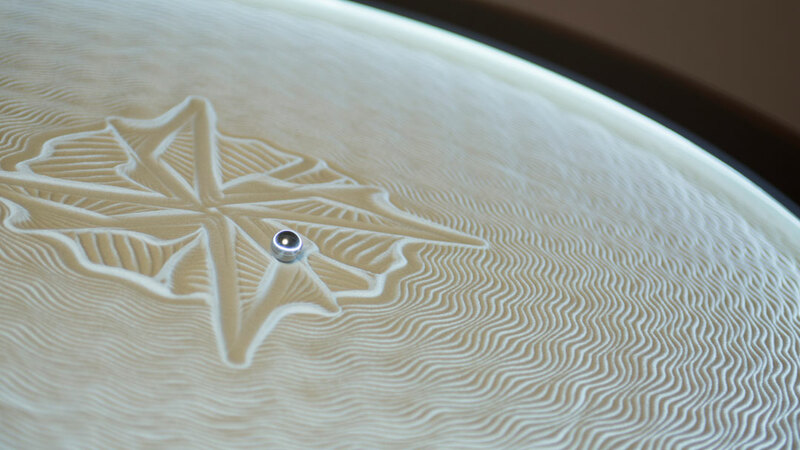 Unlike musical instruments, the “tracks” it plays are not musical, but paths in sand. 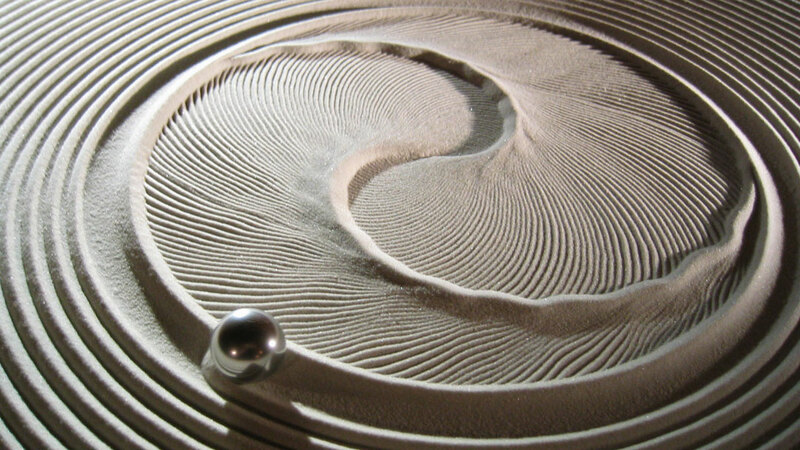 Using motion control technology (CNC), it moves a magnet under a field of sand upon which a steel ball sits. Wherever the magnet travels, the ball is pulled with it. Track files are stored within its computer, and organized into playlists. After each track is complete, the next one loads and begins playing on top of it. As its namesake suggests, this process is intended to be eternal. 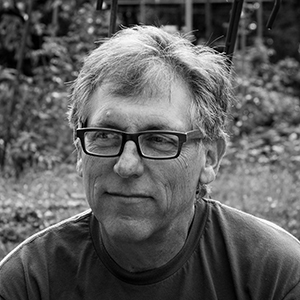 In the early ’90’s, I became obsessed with the challenge of connecting stepper motors to my PC’s printer port, with the end goal of making art. My first motion control invention was Eggbot (1990). Over the next several years I built a succession of larger and more capable DIY CNC machines, made from components scavenged at local automation surplus shops in the Twin Cities (where 3M is headquartered). I used my home-built plasma cutting table, engraving machine, and CNC routers to make static sculptures. 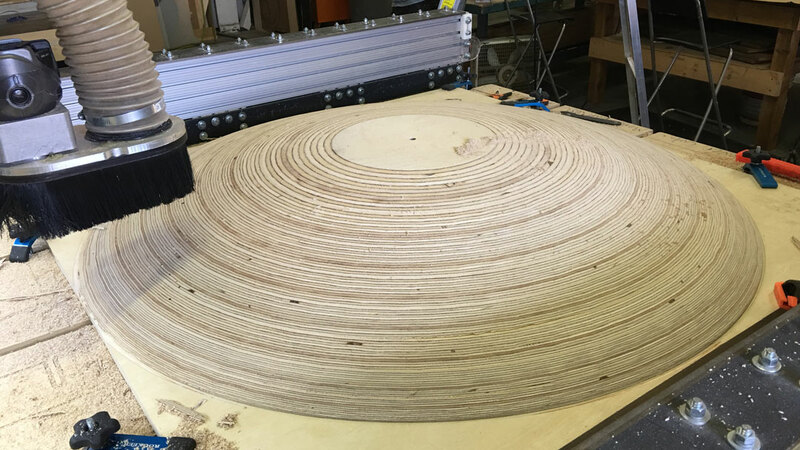 Sisyphus began as a joking challenge: “Could I build a machine to rake a Zen garden?” In 1998 it became my first DIY CNC machine to break out of my studio/shop – no loner just a tool for fabrication, but a kinetic sculpture itself. During the next decade, I concentrated on large-scale versions of Sisyphus (3 meter diameter), destined for museums in Switzerland, Germany, and Australia. But I also built smaller versions into tables, and had fallen in love with having them in our home. Over the last four years, our focus has been to get home-versions out into the world – both for people to enjoy, and to compose their own tracks for. Well before the the term “makerspace” existed, I was building my own DIY CNC’s in my garage shop. But I spent far more time designing, building, and fixing them than using them to make the sculptures I envisioned. My first experience in a true makerspace (~2012), and the chance to use “real” CNC machines that were almost always in working order, had a profound effect on my productivity. 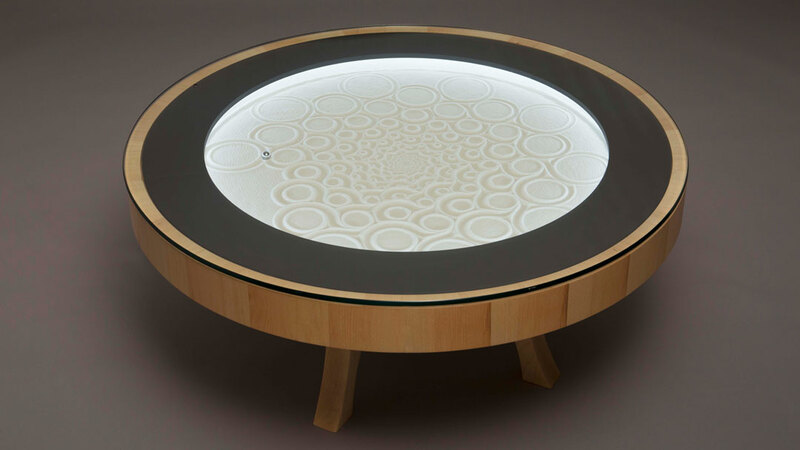 Relying mostly on the combination of two – the laser cutter and the CNC router – I was able to rapidly prototype my ideas for both large-scale, museum installations as well as the many iterations that led directly to our current home-versions. I was very seduced by this project, it expresses in a very poetic and fascinating way the question of time, trace and memory. Mixing Greek mythology with an artistic project brings a mysterious aspect whose hypnotic result absorbs you in an endless choreography.